What a great buy! 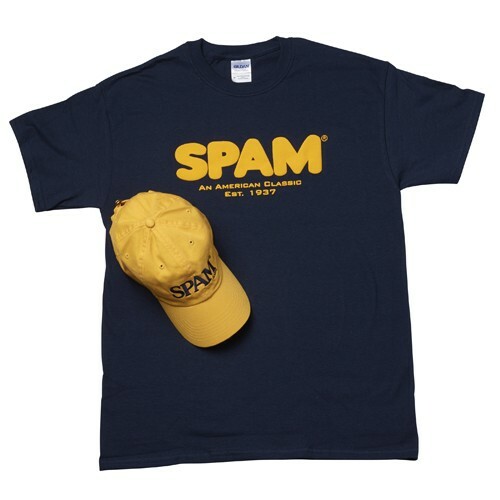 The navy SPAM® An American Classic T-shirt (G6782) comes with a yellow SPAM® Brand cap (G6803). Available in adult t-shirt sizes S-XXXL. Cap has adjustable back closure and fits most.